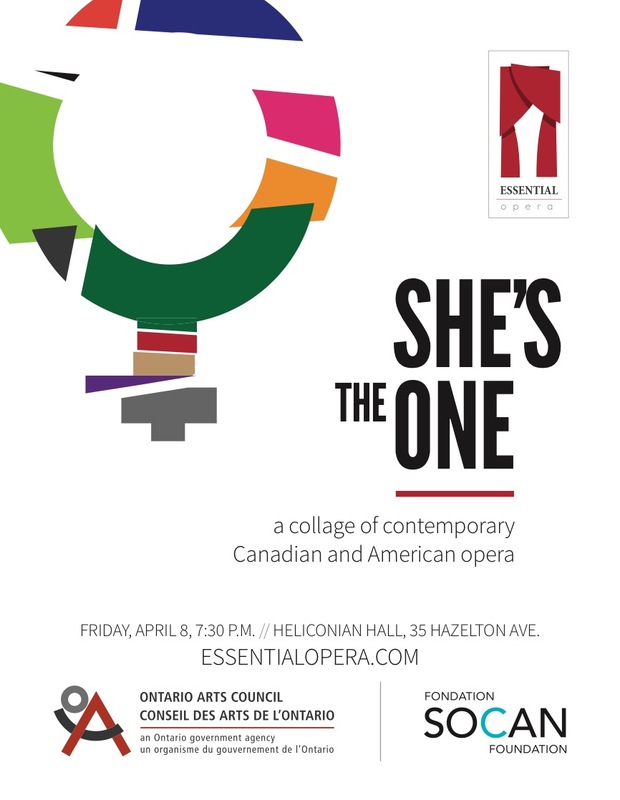 She’s the One is celebrating and exploring women’s lives through Canadian and American contemporary opera.We’re (Essential Opera) very proud of our mandate to showcase Canadian artists and works–great opera with great singers, at GREAT prices! Our focus is on giving you, the audience an intimate experience with the music and the stories. I can’t believe we’re already in the second half of season 6! Thank you to Barczablog and Schmopera for promoting the show! You can get tickets at the door ($20/25), or you can buy them online: TICKETS HERE.